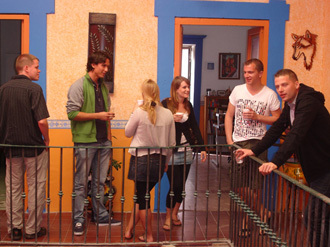 We have established programs for those that want to enroll in Spanish lesson groups. In groups, you will not only learn from the other members of the group, but also be able to concentrate on the abilities that are needed to reinforce the learning. These courses are designed specifically according to the needs of the student. There are a variety of different classes and options to choose from. Classes are designed to improve accuracy and fluency. 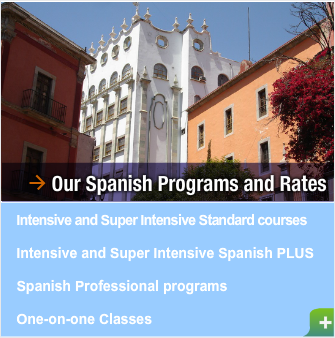 These classes help you make rapid progress with your Spanish. 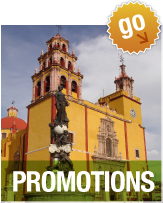 Grammar, Vocabulary, Development of Language Skills, Communication, and Mexican Culture. In groups, you will not only learn from the other members of the group, but also be able to concentrate on your own strengths and needs as you work to reinforce your learning. Each individual student is very important to us. The courses are designed to focus on everyone's needs and learning styles. The small classes maintain high quality, and assure that the student is receiving the attention they need to succeed. Intensive Group courses are offered at all levels from complete beginners to very advanced. The average number of students per group is 3 and the maximum number is 5. Students may enroll for as many weeks as they like. These courses focus on improving your communication skills, listening, comprehension, conversation, grammar, vocabulary, reading and pronunciation. Rates: US$100 per week; Inscription fee: US$. Rates: US$125 per week; Inscription fee: US$. Rates: US$145 per week; Inscription fee: US$.